Being a man of action by heart, it was clear that Alex couldn’t live the passive life of a simple music lover and consumer. “Do it yourself!” was and still is his motto. Being an enthusiastic collector of vinyl since the early nineties, he had his first DJ-gig in 1994. 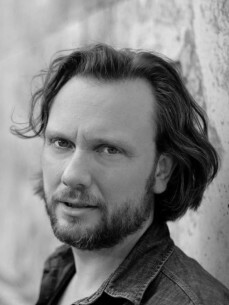 In 2005 he founded the well known Connaisseur Recordings label together with Martin Henkel and his wife Hilary in Frankfurt/Main, where he has settled after various stopovers in Wiesbaden, London and Miami. The musical direction of his endeavours is heavily influenced by his solid knowledge of 20 years of electronic music – a true connaisseur. Several very successful releases on the label took Alex’s DJ career to another level. He has already rocked places like Tokyo (Unit), Mexico City (Rioma), Moscow (Propaganda), Amsterdam (Flexbar), Vienna (Flex), Zürich (Zukunft & Q Club), Bucharest (Studio Martin), Offenbach (Robert Johnson) and of course Berlin (Watergate, Bar 25, Club der Visionäre etc.) just to name a few. Furthermore, he is a resident DJ at the Cocoon Club (Frankfurt) and the Romy S (Stuttgart).